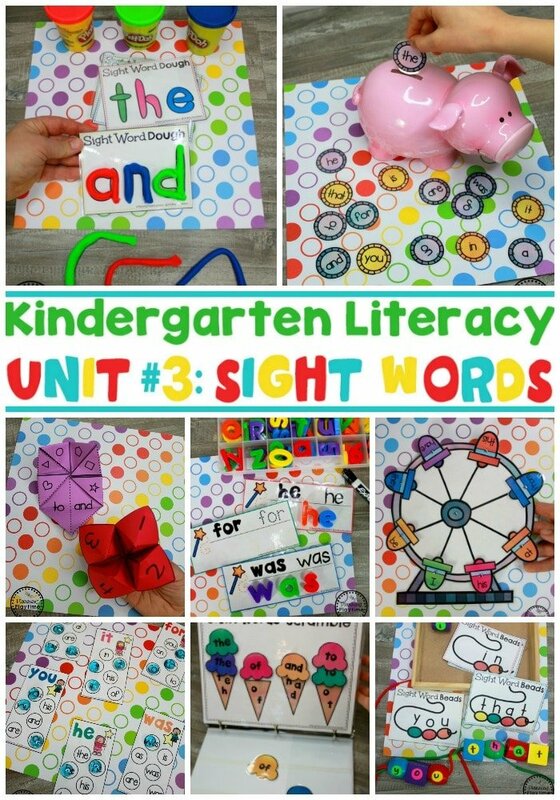 Looking for fun ideas to teach Sight Words for Kindergarten? 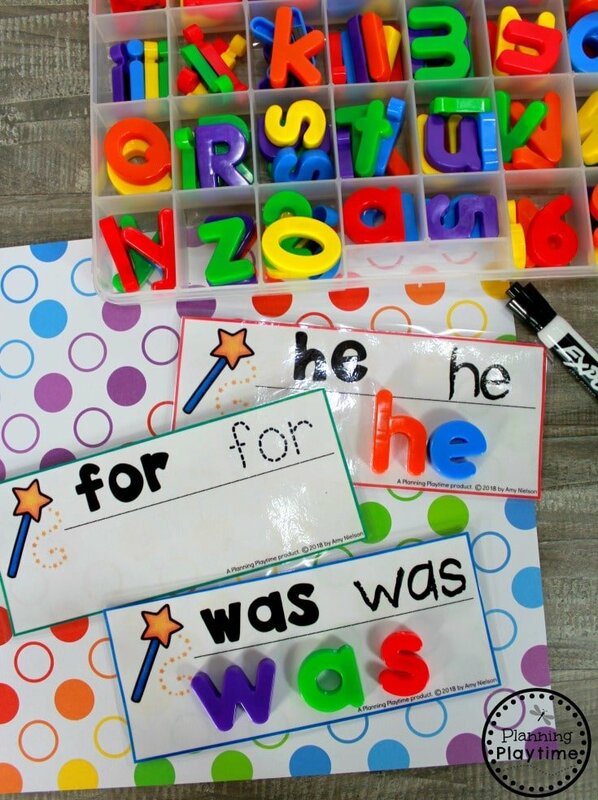 These awesome hands on centers and worksheets work on Fry’s first 25 sight words. 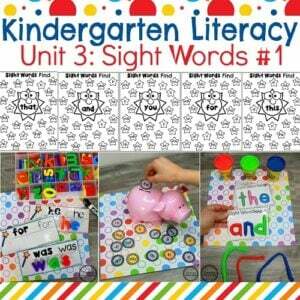 Children get to build, recognize and read sight words in a variety of fun ways. 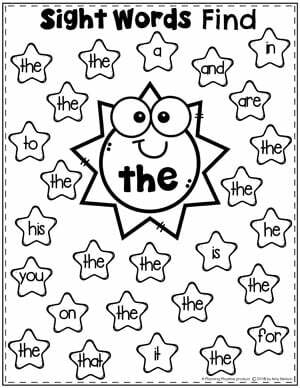 The engaging activities keep it from getting too repetative, and encourage fine motor skills in addition to reading. 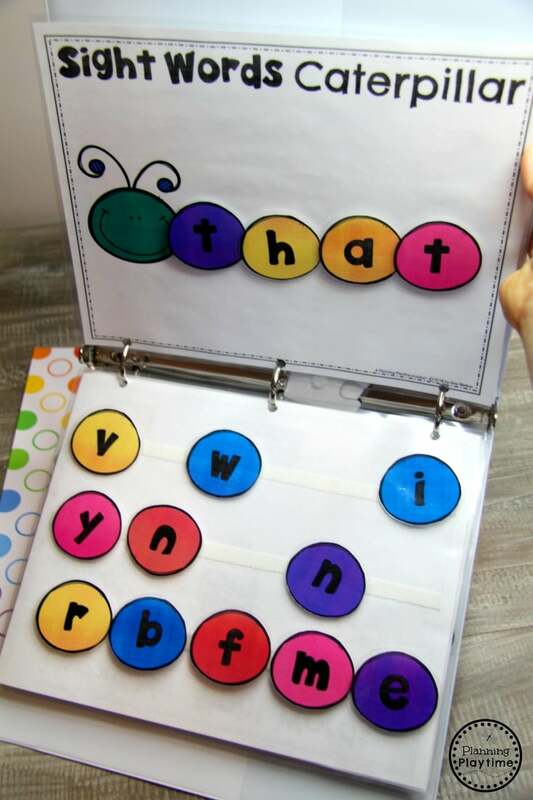 Several of the activities also work for an on-the-go Interactive Sight Words Binder! 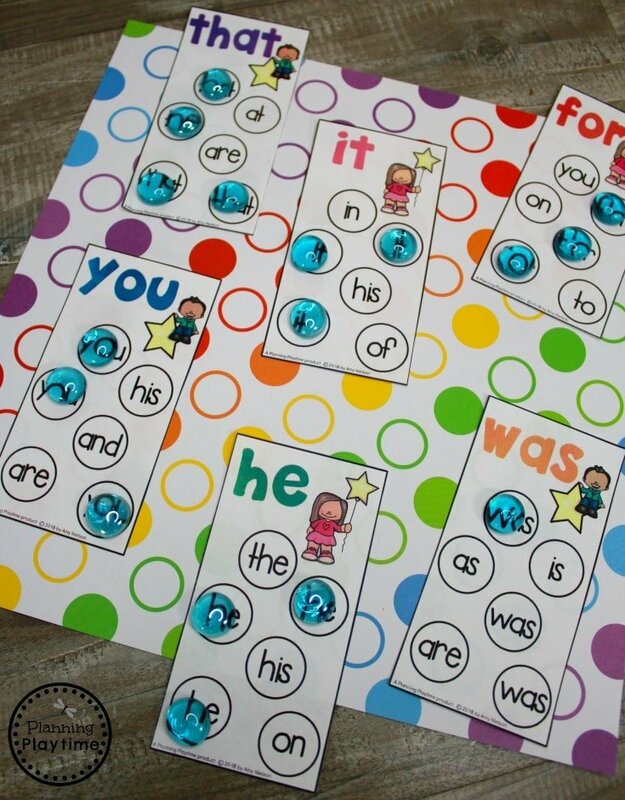 These are great in centers, in the car, or anytime your kids needs some quite time learning. Kids LOVE to sort coins into piggy banks. 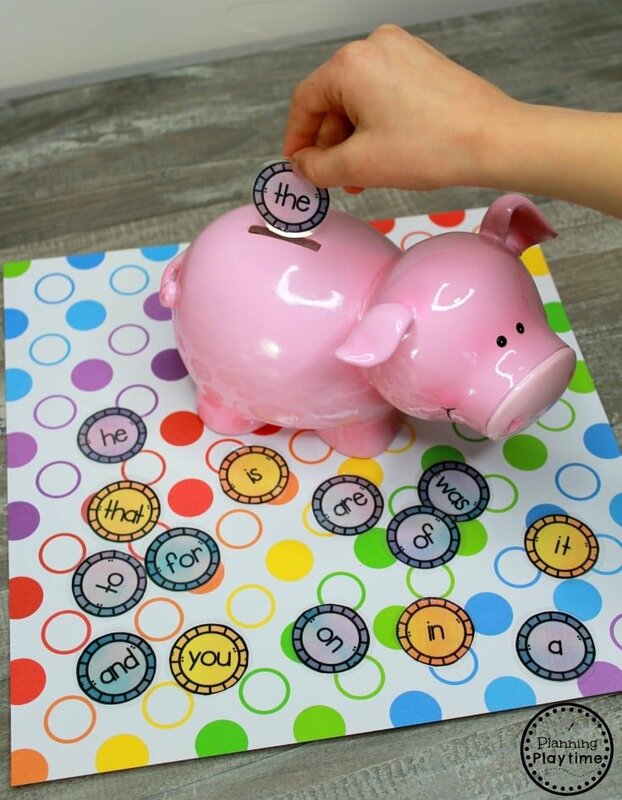 For this activity, they simply get to read the the word on each coin before they put it in the slot. You can print only the words the kids are working on right now, or let them try out all twenty five. 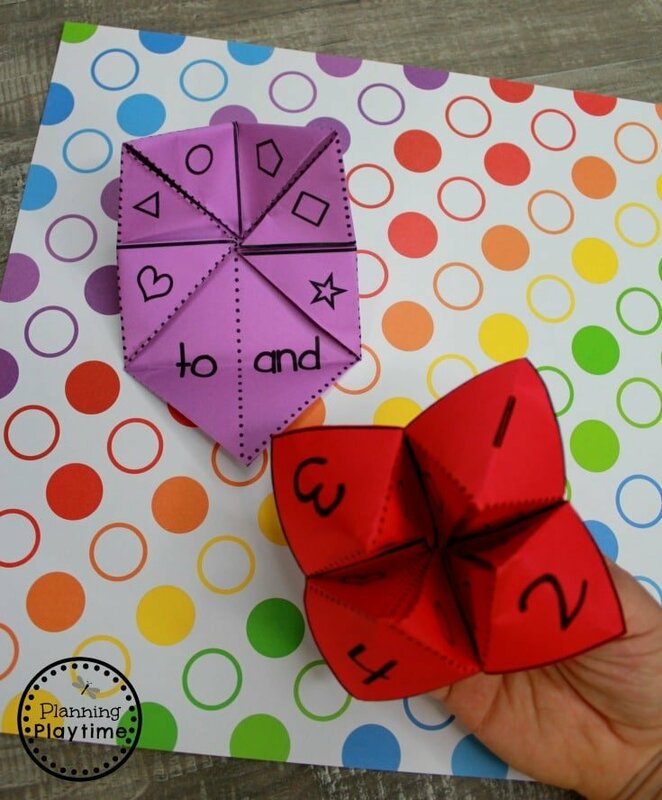 This activity is great for fine motor skills as well as reading. This sight words for kindergarten game channels all of the fun of the fair. 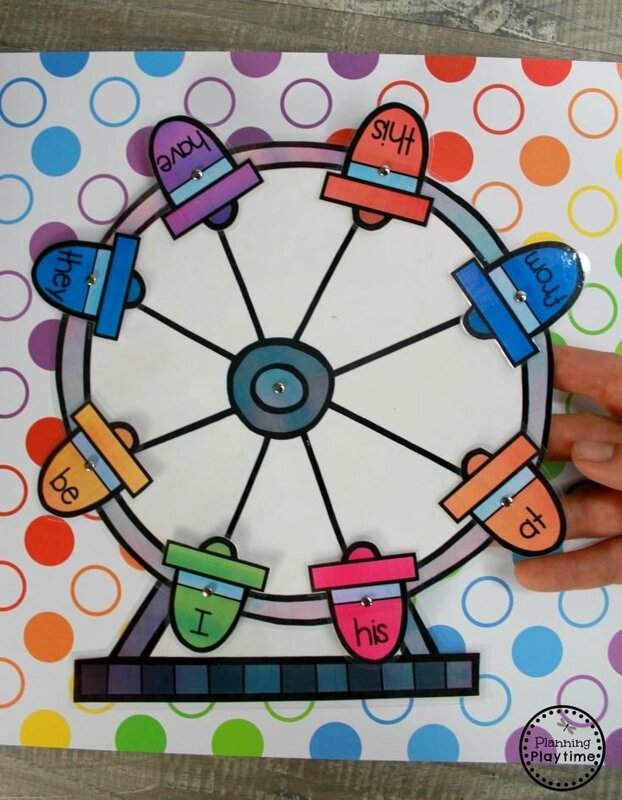 Children can pretend play while spinning their ferris wheel. If you have a human figure, you could have them pretend to ride the wheel, reading the words as they take their ride. 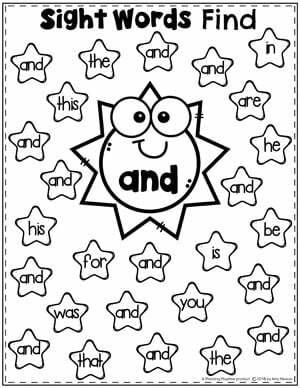 This interactive binder activity is great fun. The kids get to try to unscramble the letters in each cone to figure out what word it is. Then they can place those ice cream scoops on top. We use Velcro dots to attach the pieces. 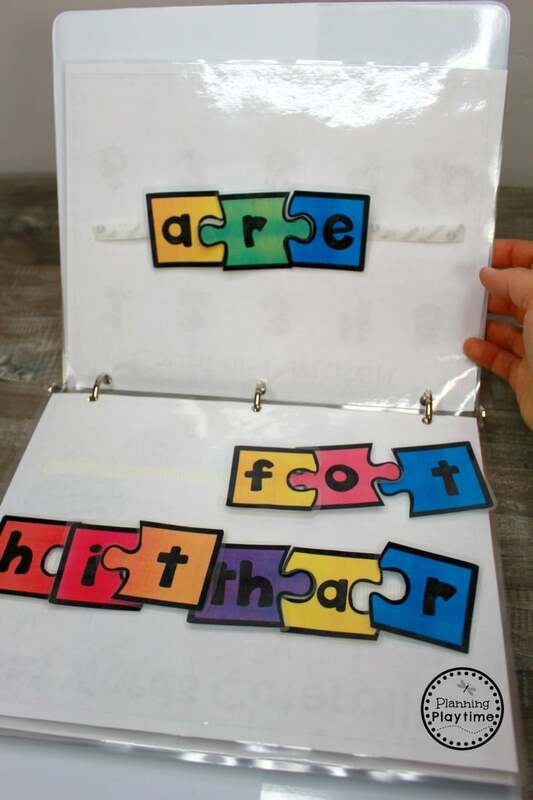 The Interactive binder is a great option for this sight words building activity as well. 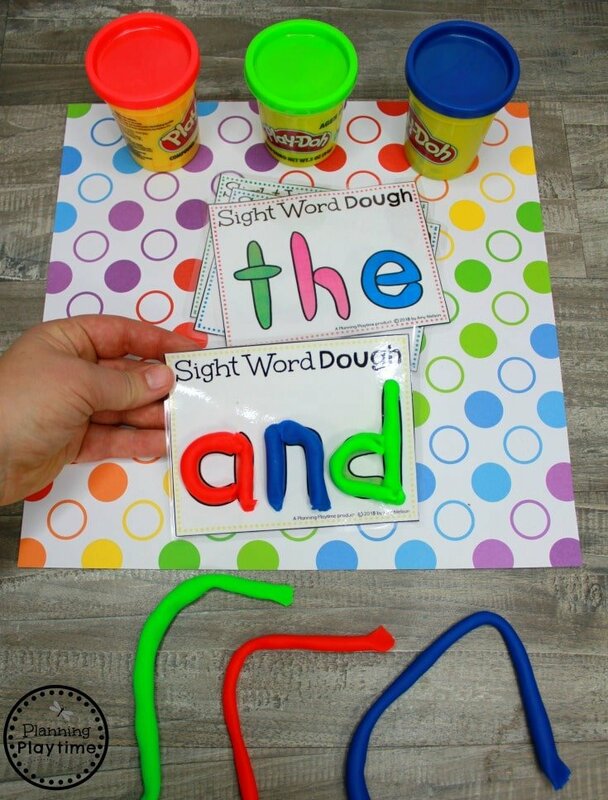 Building kindergarten sight words with playdough is a great way to add sensory and fine motor practice into a reading activity. 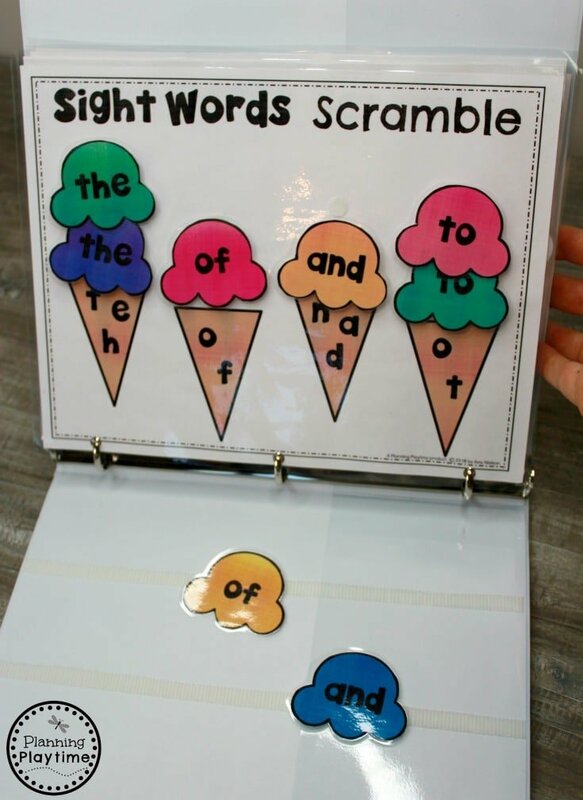 When children are ready for a game, have them hunt for sight words. We use clear, flat marbles as our markers, so the children can still see their words even after they are covered. It’s fun to see and explore how the marble magnifies the word too. Forture tellers are a great way to team learn sight words. 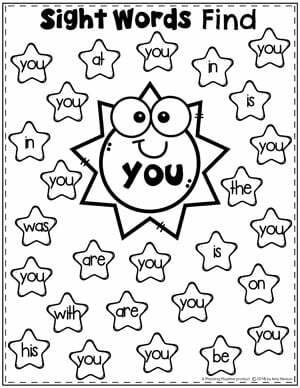 Kids can take turns picking a number, then a shape, and that determines which sight word they must read to their friend. This is tremendous fine motor practice as well. 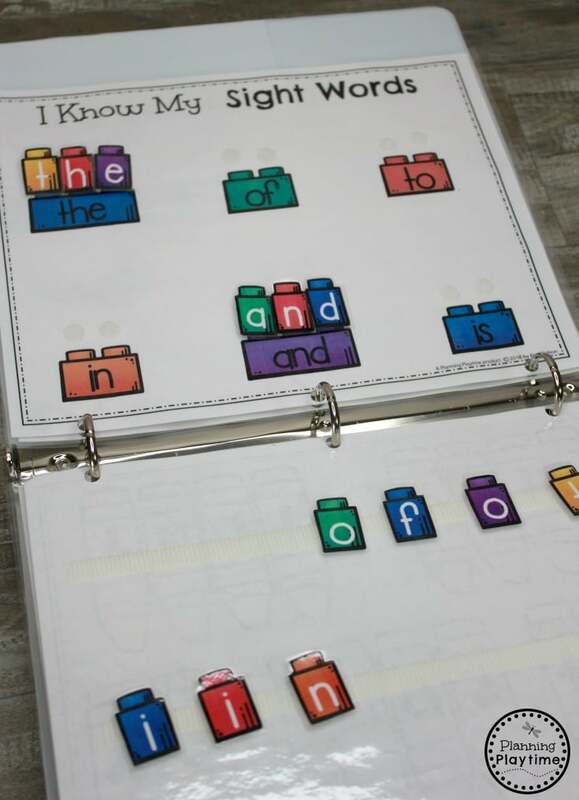 For this activity we turned our favorite beading blocks into sight word builders. Use shoe laces to complete the activity. 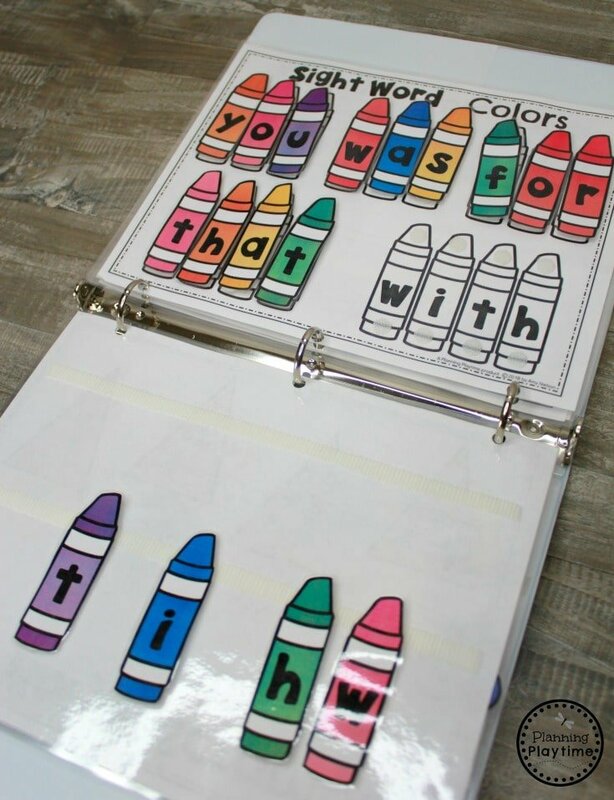 This sight words for kindergarten set also includes 25 Sight Word Find worksheets. My kids favorite way to do these is with a dot marker. They love hunting down and daubing the sight words. You can also color them with crayons, paint or stickers. 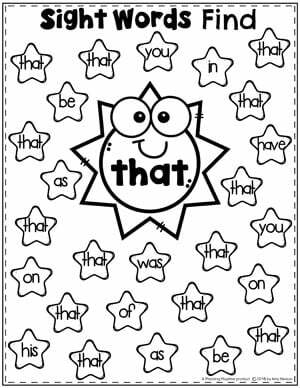 I hope you found these sight words for kindergarten activities helpful. If they would be helpful in your classroom, you can purchase them by clicking the Purchase Printables button throughout this post or the the image below. Is there anyway to buy a binder that’s already made ? We don’t have that option right now, but we would love to be able to offer that sometime in the future. How do I get the printables I paid for? You should have recieved and email with the link, or you can login anytime at PlanningPlaytime.com/my-account an find them under Orders. Click the blue download button. Our files are zipped, so you will need to right click the zipped folder and select Extract All. That will give you the printable pdf. Is this available for first grade sight words? 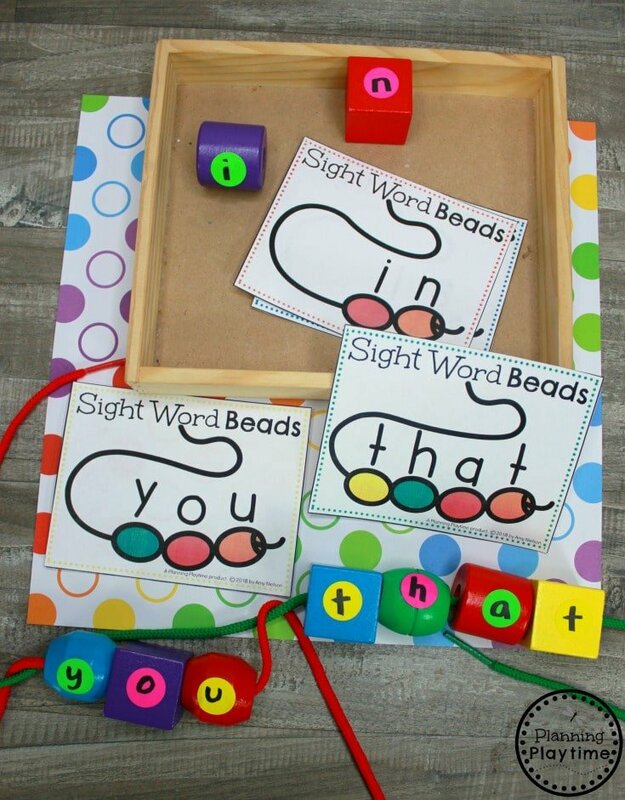 Not yet, but we hope to make more Sight Words sets soon.